Itachi & Konan walked in Mad'am Malkin's Clothes Shop hand in hand. "Lord Pein said we had to get them. He didn't say anything about WEARING them" he said with a grin. 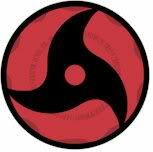 i fly down on my bird"WASSSSSUP GUYS"
she grinned "another good idea...i like your cunning, Itachi," looks at deidara "ah, what a pleasant suprise,"
Itachi grinned at her & turned to Deidara. "Hello idiot" said Itachi. "The idiot graces us with his unwanted presence it seems Konan-chan" said Itachi. she grins "well, in any case, hello deidara,"
"Hello dears. Off to Hogwarts?" asked a kind looking woman that came from the back. "What's this about pig pimples?" Itachi asked her emotionlessly. "Hey konan yeah"looks at the woman"Hi yeah"
konan whispers in itachi's ear "i think hogwarts is the name of the school...pein wrote it on out lists,"
"Oh" he whispered back. "Yes we are" he said. 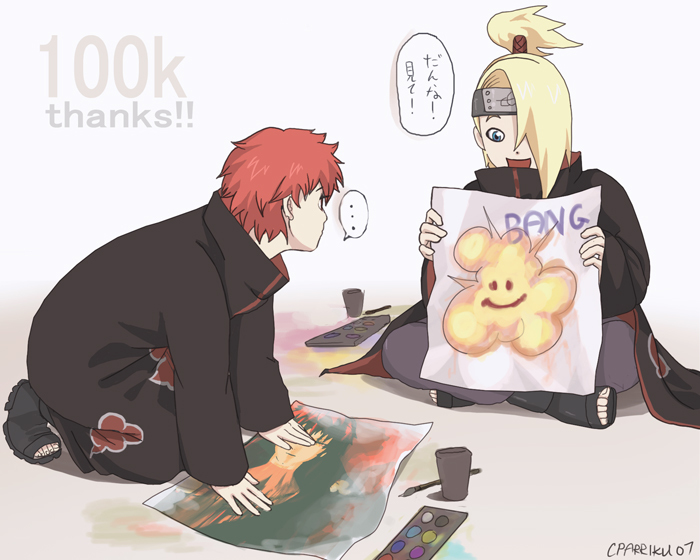 "Hello dearie" the woman said to Deidara took out a stick & made three stools appear out of nowhere. "On the stool dearies" said the woman. whispers "if she calls me 'dearie' once more, i'm gonna rip her mouth off..." she stands on one of the stools. "Just do as she says idiot" said Itachi as he got on the stool. The woman tapped a measuring tape with the stick & came to life. It started measuring every part of Itachi's & Konan's body. The woman pretended not to notice the mouths on his hands. She tapped another measuring tape again & it started measuring Deidara. the mouths stop making clay"wtf are you doing yeah?" "Obviously she's getting our measurements idiot" said Itachi as the tape stopped measuring them all & landed back on the desk. "i know that yeah but why she need em yeah?" Konan stepped down from the stool "either way, i didnt like it...."
A platinum blond walked into the store. "Are my robes ready yet?" he asked. "Yes Mr. Malfoy. Their right here" said the woman as she took out five black silk robes. "Konan, that's that blond boy that was with Luscious & Nascious" whispered Itachi as he got off the stool.